Be sure to check out the adorable badges at the bottom that CDB Nails created for me! And now let's get to the results! 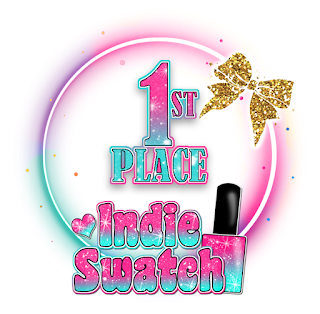 If you find an error, please send an email to indieswatch@gmail.com. Why can't you limit nominations to just the current year? This would require a lot of extra work on top of what is already done for the IndieSwatch Bests. The Hall of Fame was an answer to limit repeat winners. Who is IndieSwatch? A fellow indie lover and supporter of small business. I am a blogger/swatcher and friends to many a maker. 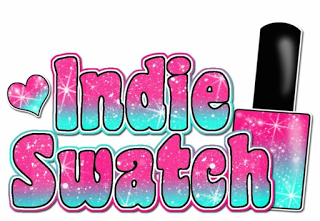 Most don't know I am IndieSwatch and would like to keep it that way. I don't want "special treatment." Is this rigged? The nominations are released on the IG page and shared in plenty of Facebook Groups. If it were rigged this year and previous years some brands would have won and others would not (I'm human, I have my favorites too). Monthly prompts? I'm down! I'll post something on Instagram to solicit ideas. I’ve been looking into top coats recently. I’ll have to try the glisten and glow!